The name "Allen" is English, although Scottish and French strains exist, too. The name was first found in the lands of Shropshire, where Walter FitzAlan of Brittany was seated after the Norman Conquest of 1066. The Coat of Arms: Per fesse, silver and red, a crescent and a gold stag's head. The Crest is a pelican in her piety. The family motto, "Non sibi," translates to "Not for himself." Some of the first settlers in America of this name, or some of its variants, were: John Allan, who settled in Virginia in 1622; Anne Allen, who arrived in Boston in 1635; John Allan, who immigrated to Virginia in 1685; as did Alice Allen in 1689. And apparently, sometime during all of this, the ancestors of SARAH ALLEN arrived, too. "John Hause, born 1690, lived in New York until his marriage in 1715 to Sarah Allen, a woman of fine English Blood.  After his marriage, he removed to Haverstraw, Rockland Co., New York." NobodyI mean nobodyhas found any other information about Sarah Allen. It has all been handed down through the family as a bedtime story. 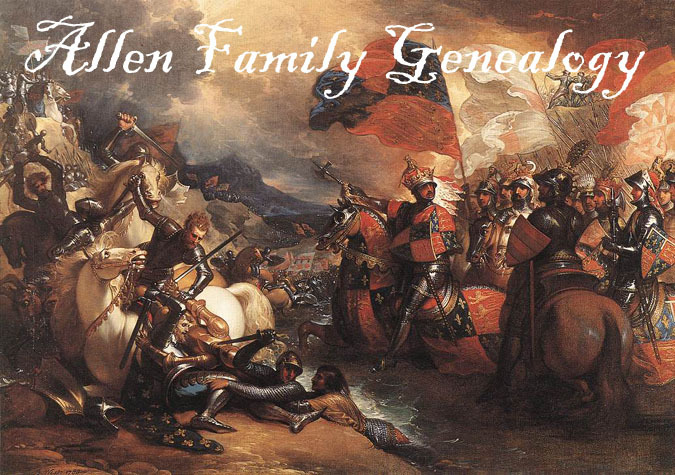 It's speculated by some genealogists that the Allen family is related to British royalty, and THAT is how Johannes Haus is a "cousin" of Queen Anne (or Queen Mary, depending on the version you're reading). But there is no hard evidence linking Sarah Allen to anyplace, anybody, or anything. It's all speculation. The historic Van Alen House was erected in 1736 in Kinderhook. The real "Katrina Van Tassel" resided in this house, according to tradition. The house is a restored Dutch farm, furnished with 18th century Dutch furniture. It was built in 1737 by Luykas Van Alen, although the marker indicates a year earlier. Van Alen was a wealthy farmer and merchant. The house is open to visitors, Thursday-Saturday from 11AM-5PM, Sunday from 1-5PM. Route 9H in the Town of Kinderhook, NY 12106. Tel: (518) 758-9265. The house is run by the Columbia County Historical Society. It's just past Kinderhook Toyota, on the left side of the street. 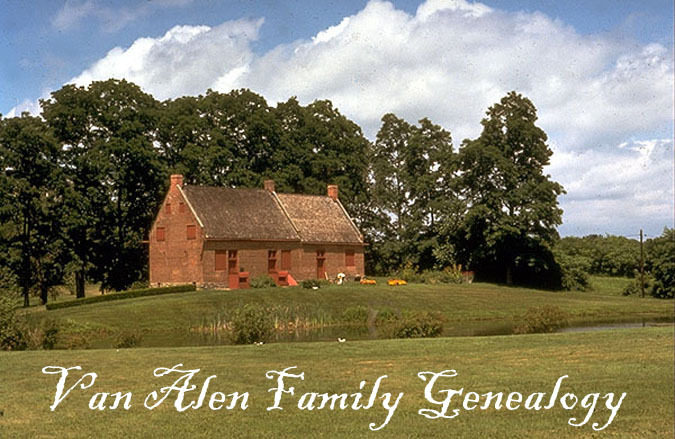 A variation on the surname "Allen" is "Van Alen" (Son of Alan), which is a family that came not from England, but from the Netherlands in the mid-1600's, when the Dutch ruled New York. But the Van Alens still claim to be of English royal descentfrom JAMES THE FIRST, King of Scotland, and his wife LADY JANE DE BEAUFORT, a descendant of EDWARD III, King of England. How's that for "fine English blood?" In British Colonial America, the Van Alens were a prominent family from Kinderhook, in Rockland County, and as you will see, they did business with the GARDENIERS and WHEELERS, whose descendant, SARAH WHEELER, would marry Sarah's first son. So if this speculation is correct, there's even a small possibility that Sarah Wheeler was named after her future mother in law! The Van Alen family became quite rich and influential by the time of the 19th Century, living on a large plantation (yes, with slaves, unfortunately). The Van Alens prospered in both business and politics, and even produced a famous 19th Century congressman, John E. Van Alen, who became an intimate friend of George Washington. Unfortunately, the Van Alens of the 18th Century pose the same problems for genealogists that the Haus family does, because the surname constantly changes spellings, and certain family membersespecially womensimply disappear from the record, along with any trace of their descendants (as do members of just about every family in that area, as most of the church and tax records from that time have been lost). Females are the hardest to trace because they just weren't recorded in a lot of family histories. You might luck out and find a female's maiden name listed in a rare surviving church record in the Haverstraw area, but wives weren't even listed in U. S. census' until the mid-1800's. The Van Alens seem to descend from LOURENS VON HALLEN, who some say was from the town of Hallen but settled in Amsterdam (thus, the name, meaning "from Hallen"). The Anglicized version of the name became "Van Alen," as it was spelled by his descendants in Kinderhook. PIETER VON HALLEN, the grandson of Lourens, came to America with his wife and three kids on the ship De Vergulde Bever ("the Gilded Beaver") in 1658. He became a tailor, and also was a justice of the peace in Albany (then called "Beaverwyck"). In 1668, he bought land in Kinderhook. His wife then apparently died, because he remarried in 1669 to MARIA TELLER, daughter of WILHELMUS TELLER, the watchmeester (watchman) of Fort Orange. Pieter died in 1674, leaving (at least) three sons: PIETER JR., WILHELMUS and JOHANNIS. Of those sons, Pieter Jr's family is unknown, but Wilhelmus married MARYTJE VAN PATTEN in 1694, and Johannis married CHRISTINA TEN BROECK in 1701. They would have been starting families right around the time that "Sarah Allen" was born. Only Johannis' family has been chronicled very well, so Sarah could have come from one of the other two brothers, and we would have no way of knowing. Sarah seems to have been a common name in the Van Alen family (at least the traceable family in the 18th and 19th Centuries). A Sarah Van Alen was baptized on January 1st, 1693, according to the records of the Reformed Dutch Church of Albany (Yearbook of the Holland Society of New York, 1903: "Names of the Members of the Church of Jesus Christ at New Albany, at the End of the Year 1683 and Afterward," page 18). The "Old Dutch Church" at Sleepy Hollow (1697), where the Van Alens, the Gardeniers, the Wheelers, and (occassionally) Rheinhardt Haus attended. A Study of the Early Lutheran Church Registers of New York City, Hackensack, Kinderhoek, and Hudson River Valley. Now, I mentioned in the Hause history that Johannes Haus II and Sarah Allen lived near Sleepy Hollow, the site of Washington Irving's famous "Headless Horseman" story, called The Legend of Sleepy Hollow. In the story, Ichabod Crane battles "Brom Bones" for a young woman named "Katerina Van Tassel." She was, in reality, named KATRINA VAN ALEN, a descendant of Johannis Van Alen and a friend of Irving's, and her beauty was legendary. They STILL talk about how good-looking she was in that area of New York. So if Sarah is from this family, she's definitely from attractive stock. Anyway, it's all just a guess, as is everything else concerning the mysterious Sarah Allen.